Paula Deen Caught with the Wrong Beaver! 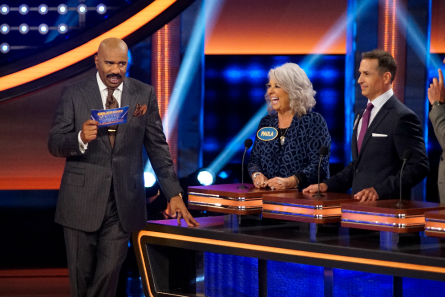 In a game of “Celebrity Family Feud”, Paula Deen vs. Carson Kressley battle it out in episode four this season. 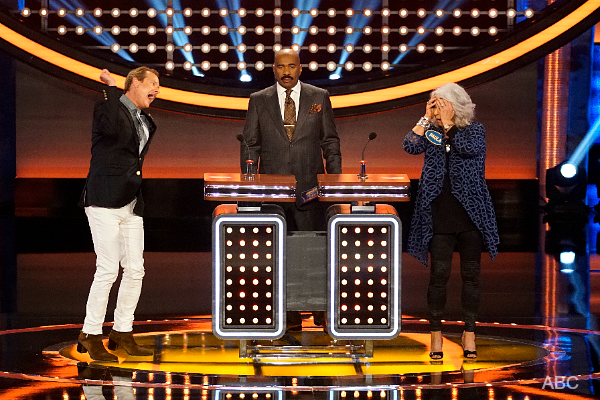 Paula Deen looked great, wearing some heels with “jeggings” as host Steve Harvey pointed-out looking fabulous also noted by competitor Carson Kressley. The two played a head-to-head game with the question “name a chore a farmer does that lovers use as code for making love.” Kressley rushed at the buzzer and answered “plowing the field”. Harvey chuckled and said it was a good answer. It was number one on the board. His family played the game. When Harvey came to Kressley again with the same question, his next answer was “slopping the hog.” Harvey laughed again and said Kressley knows too much about it than he should! That answer was also on the board along with: “plant/sow seed”, “bale/make hay”, and “milk the cow”. 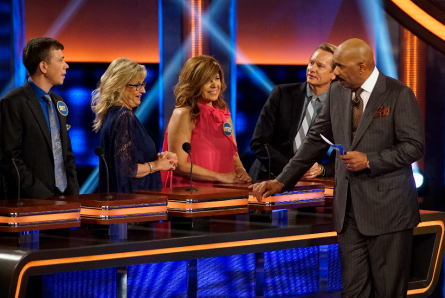 Pictured: Steve Harvey with Carson Kressley family. One, we’re sure, of many embarrassing moments came from Paul Deen. The question she was asked was “name something people know about beavers.” Paula answered “men like them!” She wanted to take her answer back after realizing it was inappropriate. 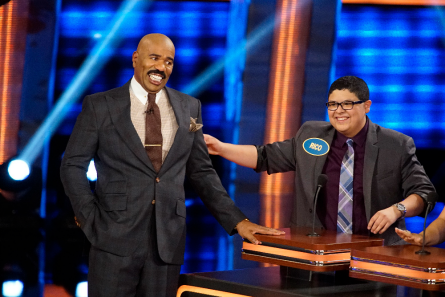 Deen reacted “I embarrassed my sons!” Harvey responded that if the answer is up there, they’ll be shutting the show down! Lol! The answer was not on the board, but “build dam” and “big teeth” were. The Deen family only had two more answers to finish their board. 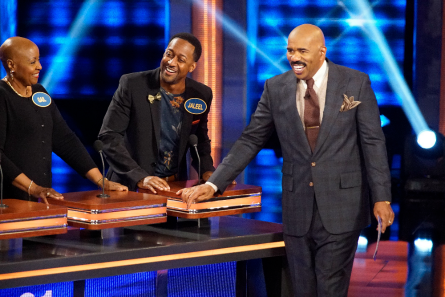 See if they do when “Celebrity Family Feud” airs Sunday, August 14 at 8 pm PT on ABC.